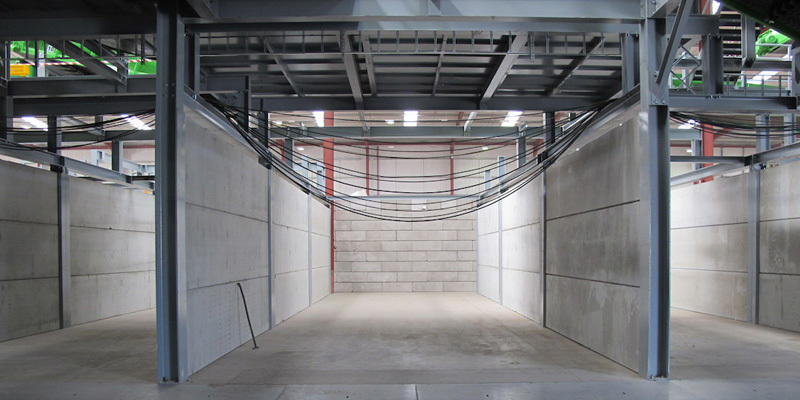 Pre-stressed concrete wall panels are a construction system widely used throughout Europe. Wall panels are pre-stressed and so this allows you maximum strength with minimum wall thickness. 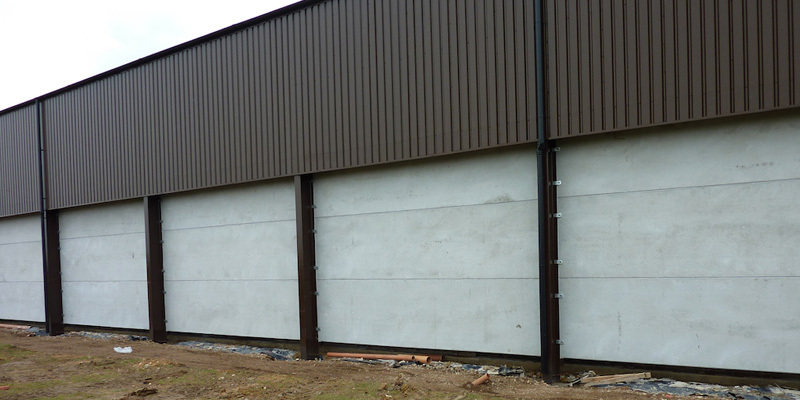 Wall panels have a wide range of applications and are particularly suitable for industrial units, storage units, bulk grain stores, agriculture sheds, general warehousing, earth retaining walls, compost and waste storage etc. Our wall panels can be designed to suit your exact needs. The walls may be built horizontally or vertically depending on the job requirements. The edge detail of each unit is designed to form a tongue and groove joint. This joint not only locks units together during construction, but also acts as a load transfer to spread loads between all units in a wall. This feature is particularly useful in dissipating impact loads from vehicle collision. The joints are also designed to accept a Polyurethane Mastic Sealant to provide a water tight seal. Time is money! The most obvious benefit for developers is the speed of erection. 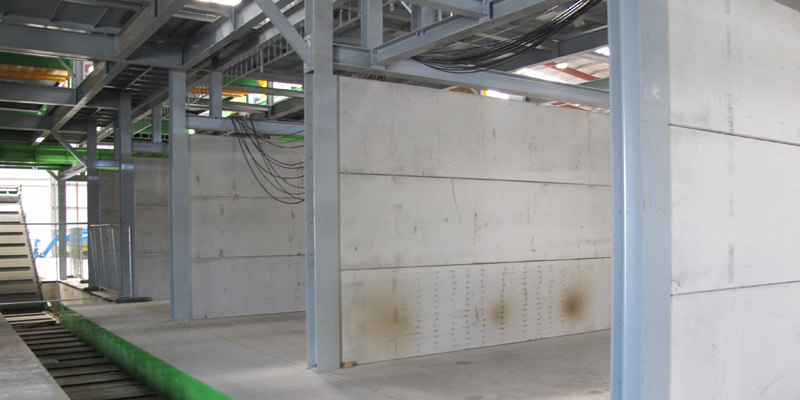 O’Reilly concrete can erect as much as 400sqm of walls in one day. 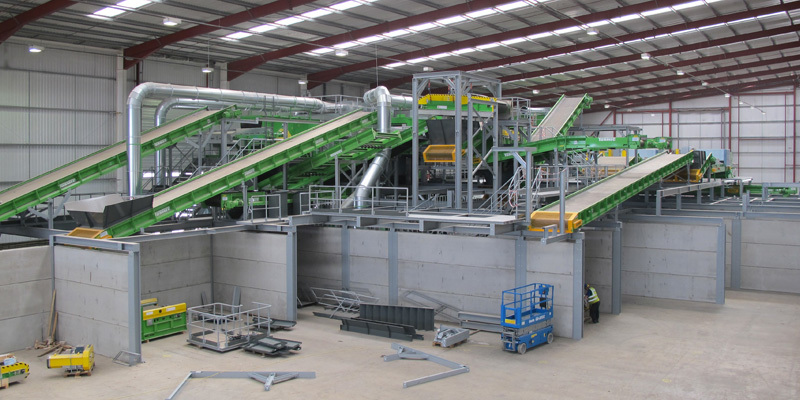 The system eliminates the need for wet trades, and also so improves production schedule times. 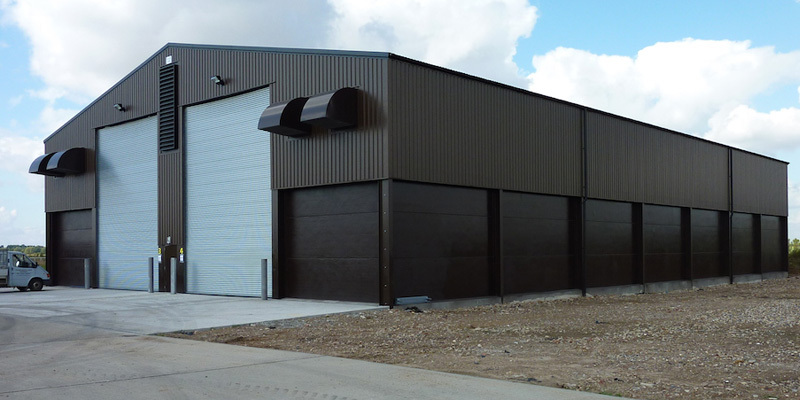 In comparison to traditional construction methods, O’Reilly wall panels provide a more cost effective solution. 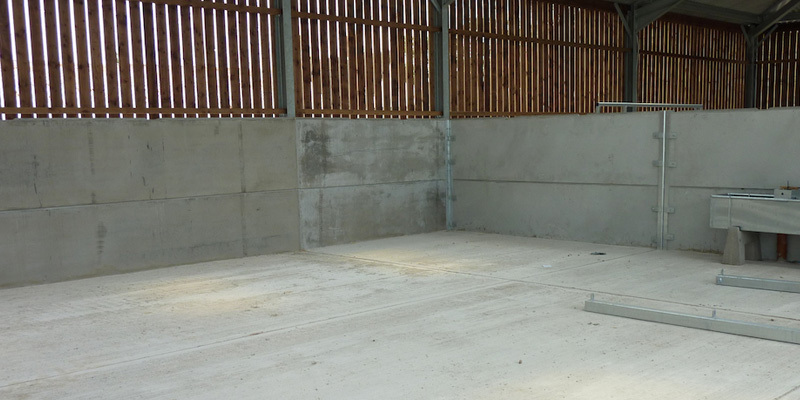 Concrete is a non-combustible material therefore O’Reilly wall panels provide a higher degree of fire resistance than most other building materials. 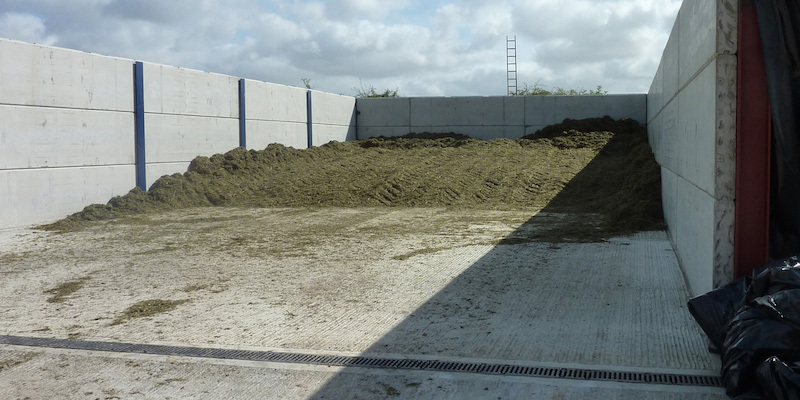 The obvious benefit is the speed of erection, O’Reilly Concrete can erect as much as 400sqm of prestressed walls in one day. 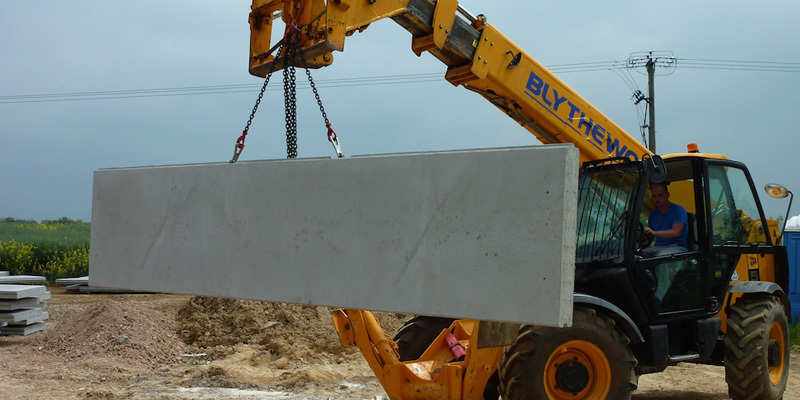 Concrete is a non-combustible material therefore O’Reilly Precast Wall Panels provide a higher degree of fire resistance than most other building materials. O’Reillys Precast Wall Panels are placed and supported by steel columns and have a very resistance to loading and cracking. As the panels are pre made there is no need for plasters or builders. The panels are easily and quickly cleaned. 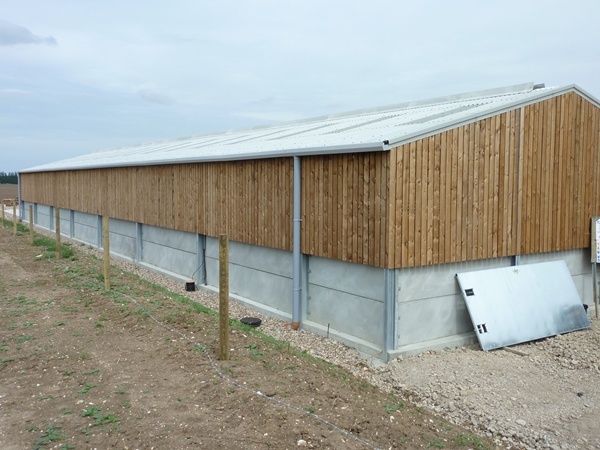 The panels can be fitted regardless of changing weather conditions.